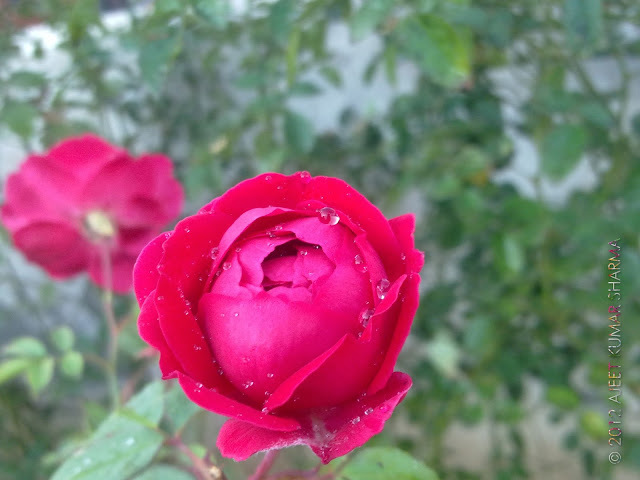 Since, I planted my plants, they were to bloom some day. The roses (red and orange) were the next to bloom. 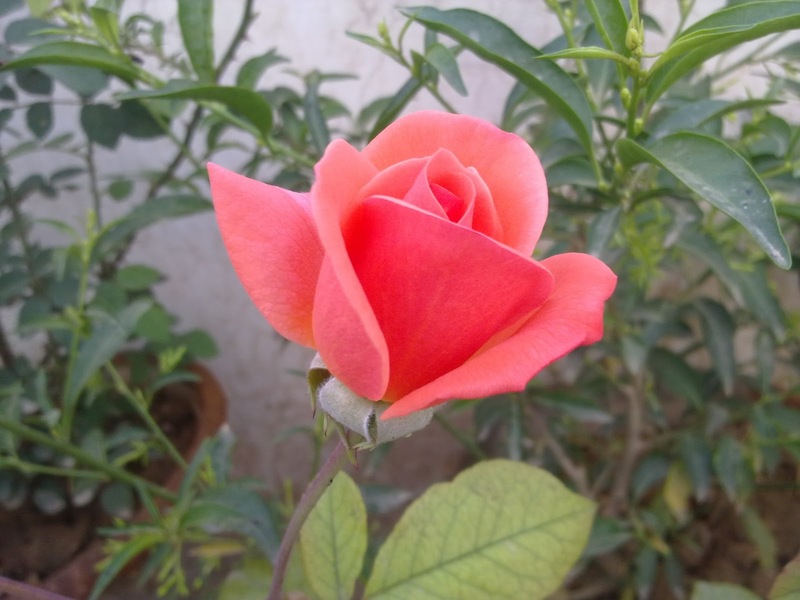 What I liked about my rose plants, particularly the orange one was it's size. I've gotten really huge blooms from my orange rose plant that too, in a pot. My neighbours are actually amazed at the sight of such a huge roses. The best time to capture a rose or any flower, in my opinion, is when it's bud just starts to open, and my roses, are not an exception. A blooming bud of my orange rose plant. A red coloured blooming bud from one of my earliest plants. 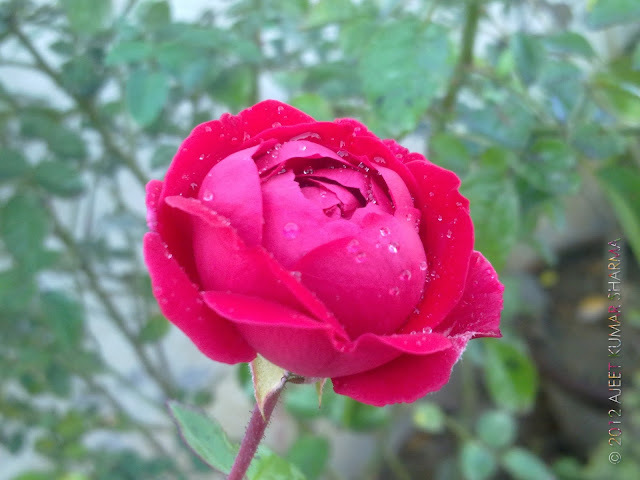 One of my recent clicks of the red rose flower. 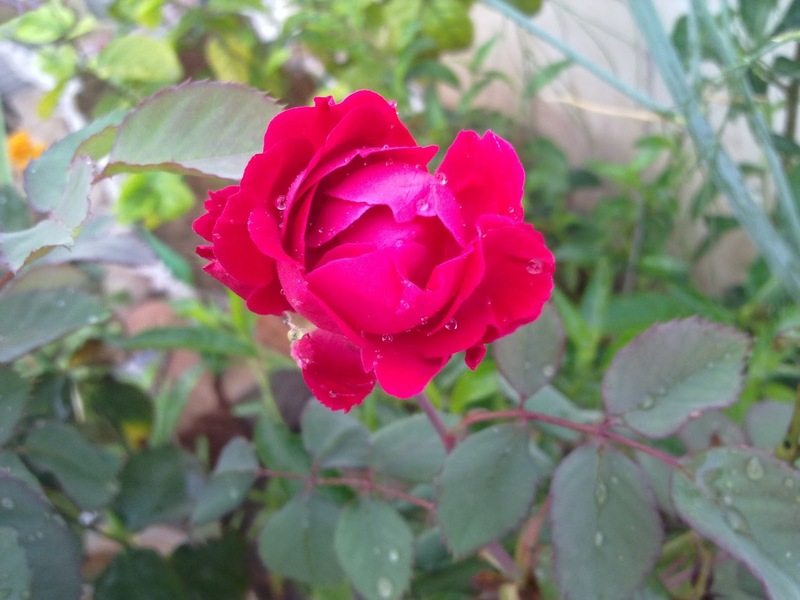 Another one of my red rose flower.